By Saint Barbara, long live bombardment ! It is traditional for artillerymen, as well as fire fighters, miners and demolition experts, to celebrate the feast of Saint Barbara, patron saint of fire and gunpowder, on 4 December each year. The role of the artillery is to send projectiles over a large distance onto the enemy, in order to support infantry and cavalry action. It is a crucial weapon, defined as the "last argument of kings" by Louis XIV. 1. Latil 4x4 TAR type artillery tractor truck (rolling artillery tractor) towing a 105 mm cannon in the Soissons area. First World War. It changed significantly during the First World War. Munition needs are enormous, and tens of millions of shells are used for firing on both sides, requiring the organisation of mass production. The number of artillerymen increased from 430,000 in 1914 to more than 700,000 in 1918. Work conditions changed during the conflict and benefited from technical advancements. 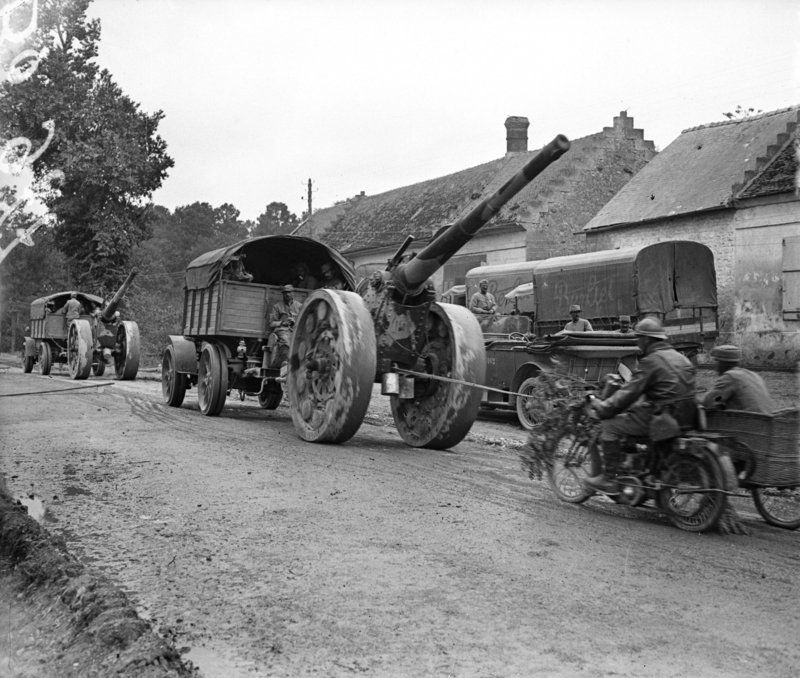 Latil or Renault artillery tractors gradually replaced horses for the transportation of the heaviest cannons. Nowadays artillery units use the CAESAR truck (Truck fitted with a 155mm artillery system). Book : François Cochet, Rémy Porte, Histoire de l’armée française, 1914-1918, la première armée du monde, Tallandier, 2017.